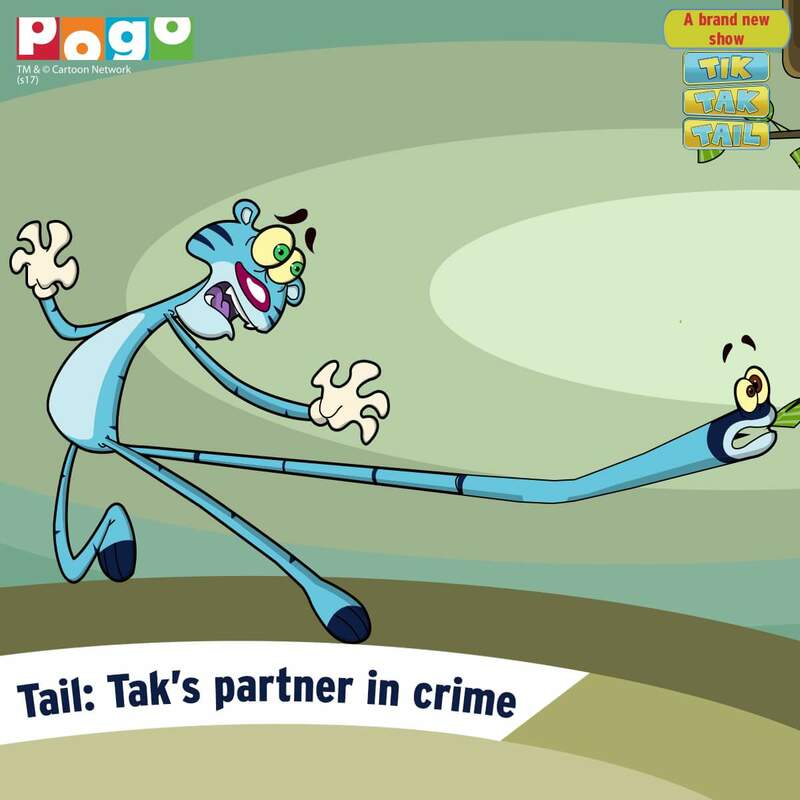 Pogo kids entertainment channel, is all set to launch 'Tik Tak Tail' , an all-new comedic series .It is a fun-filled action packed entertainer about a cute rabbit and a ferocious tiger who are constantly on the run. It essentially tells the story of the unending attempts of a tiger to catch a rabbit and how the rabbit always outruns the tiger with his speed and smartness. The series tells the story of the unending attempts of a tiger to catch a rabbit and how the rabbit always outruns the tiger with his speed and smartness. But here is the twist in the ‘tail’… literally! Tik (the cute and colourful rabbit) is not only battling with Tak (the tiger) but also with his tail named Tail (The snake). Tail has two roving eyes and a hungry mouth of its own. But without hands and legs, he is at Tak’s beck and call. However, if Tail ever decides to have it his way, he can simply wrap himself around a tree-trunk and not let Tak move ahead. Tak and Tail are partners in crime with their target always being Tik. But Tak uses their different needs to his advantage and often sets Tak and Tail on opposite paths, while finding an escape route for himself. By doing this, Tik also pits Tak and Tail against each other. An angry Tak often tries to get even with Tail but what he doesn’t realize is that finally he is at the receiving end, as they are two minds but one body. This cross-connected chemistry between Tik, Tak and Tail makes it a fascinating game of one-upmanship and gives the chase comedy a unique identity of its own.